Whirlwind romance to dementia diagnosis at just 46. 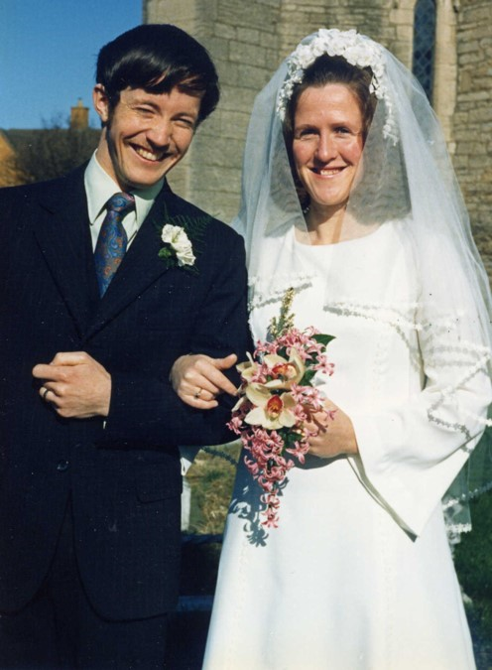 Rosemary Westwell’s husband, John, was diagnosed with behavioural variant frontotemporal dementia (bvFTD) when he was just 46. He is about to turn 72 and has been living in a care home full-time for a number of years. He can no longer speak or move, and needs 24-hour care. Rosemary has written a powerful book about his experience, called John, Dementia and Me, and is speaking at this year’s Alzheimer’s Show about their experience. When Rosemary Westwell was pregnant with her second daughter, she received a phone call to say that her husband, John, had collapsed on the street. It was a terrifying moment for the Cambridgeshire woman. She now pinpoints that day as one of the earliest signs that John was unwell. 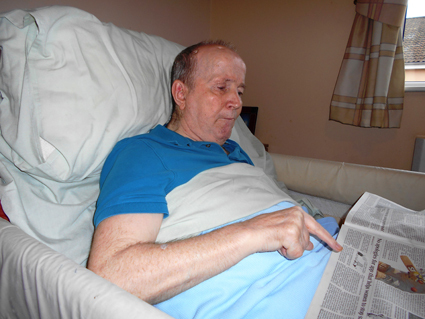 After several years in which John displayed symptoms such as lack of empathy and aggression, he was eventually diagnosed with a rare form of dementia. Behavioural variant frontotemporal dementia (bvFTD) accounts for less than one in 20 of all dementia cases. The parts of the frontal lobe in the brain that regulate social behaviour are often most affected. Now, Rosemary Westwell is preparing to give a powerful talk at the Alzheimer’s Show 2018 at Olympia in London on Friday 8 June about how their lives were turned upside down by dementia. John was diagnosed with bvFTD when he was just 46, a result that came as a huge shock to the couple, who were at the time raising their two daughters. Their love story began when Rosemary moved to the UK from Tasmania at just 21 after she completed her music degree. She got a job as a music teacher in Peterborough and joined a Young Conservatives group, where she met John. The couple quickly fell in love, and within three weeks, John had asked Rosemary to marry him. Sadly, the couple’s happy years together were cut short by his development of frontotemporal dementia. John will be turning 72 a couple of weeks after Rosemary gives her talk at this year’s Alzheimer’s Show, however sadly, he can no longer speak or walk. “We would like to say a big thank you to Rosemary for being such an amazing supporter of Alzheimer’s Research UK and for sharing her story in such a powerful way. “There are currently no treatments that can slow or prevent the development of dementia. Our mission is to bring about the first life-changing treatment for dementia by 2025. For further information, please contact Patrick Kelleher, Communications Officer at Alzheimer’s Research UK, on 0300 111 5 666 or email patrick.kelleher@alzheimersresearchuk.org.